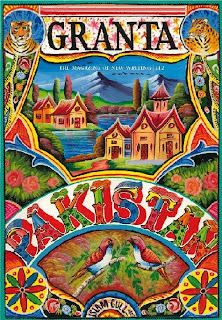 A shout-out for Granta magazine’s new Pakistan special. 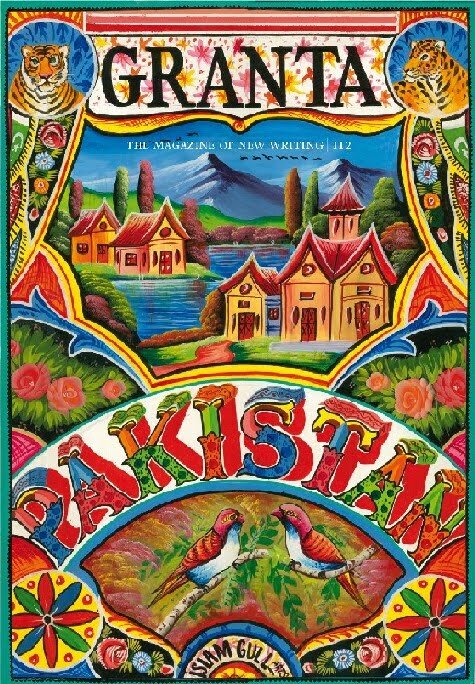 As a big admirer of contemporary Pakistani writing in English, I was very pleased to see the line-up of contributors to the issue – Mohsin Hamid, Daniyal Mueenuddin, Kamila Shamsie, Mohammad Hanif, Aamer Hussein and Nadeem Aslam, among others. So pleased, in fact, that I sat down and read some of it on a PDF file (something I rarely do) because the hard-copy version hadn’t arrived yet. It’s a good mix of fiction, reportage, poetry, nostalgia - and even artwork, courtesy a visual essay that showcases the work of artists like Ayesha Jatoi and Imran Qureshi (not to mention the book’s dazzling cover, created by a truck artist). The pieces are very varied and it’s impossible to discuss them all, so I’ll mention a couple that I really enjoyed. The shortest story in the collection, Mohsin Hamid’s “A Beheading”, is also the most startling, perhaps because it taps directly into the deepest fears of an artist (specifically a writer) trying to live and work under a repressive, intolerant regime. If you’ve read Hamid’s fine novel The Reluctant Fundamentalist (my review here), you’ll remember his use of a deliberately theatrical, non-realist narrative – a first-person account by a Pakistani man addressing an American tourist. “A Beheading” does something similar to induce a very real sense of claustrophobia and dread. I also liked Kamila Shamsie’s “Pop Idols”, about experiencing Pakistani pop music as a teenager in the late 1980s through the emergence of bands such as Vital Signs, against the background of the changes in the country’s political climate. (“Watching the video of ‘Dil Dil Pakistan’ today,” she writes, “I’m struck by the void that must have existed to make pretty boys singing patriotic pop appear subversive.”) Based on what I've read so far, these pieces aren't about stereotyping a nation, or losing sight of the many coexisting realities that make it what it is - they are about using high-quality writing to create a sense of a people, a place and a society. I look forward to finishing the collection. Mohammad Hanif! Mohammad Hanif! Mohammad Hanif! 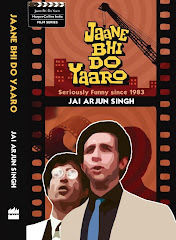 Especially excited to see his name - I absolutely loved "...exploding mangoes" and am so looking forward to the next book. Do you have any idea if/when the next book is outcoming ? Where could i get a hold on this one? Emily from Granta here - delighted to see this post up (before our official pub date!). Tanaya, you can buy the issue now at granta.com; it's set to arrive in Pakistani book shops toward the end of October/beginning of November. On behalf of the whole Granta team, hope you enjoy! wouldn't it be "city limping back to normalcy"? or do they do it differently in THAT country? WAY off-topic, but I can't contain it any longer, where is the post on RAFA! Really looking forward to a 'Death of Wanting'-style Bodoesque take.